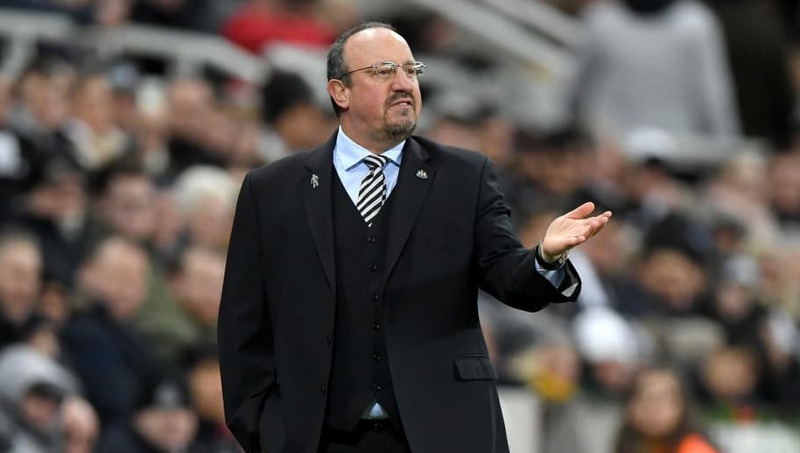 BT Sport pundit ​Chris Sutton has criticised Newcastle manager Rafa Benitez for allowing Jamaal Lascelles to remain on the field after suffering a hamstring injury on Tuesday evening. Lascelles came on for the injured Ciaran Clark at half time in Newcastle's FA Cup replay against Blackburn, but within two minutes he appeared to sprain his hamstring. The Newcastle captain tried to play through the pain and Benitez allowed him to remain on the pitch for another ten minutes before it became apparent that he couldn't carry on, and was replaced by Isaac Hayden. Commentating for BT Sport (via ​HITC), Sutton couldn't believe that Benitez was allowing Lascelles to aggravate his injury by waiting to take him off. "Ridiculous, Rafa. Absolute madness not to take him off earlier. He's such an important player. We talk about his importance in the backline for Newcastle," said Sutton. "If you're prioritising the Premier League and you have a huge game at the weekend, why put him on? Why risk him?" Having surrendered a 2-0 first half lead, Newcastle went on to win the match 4-2 after extra time, but it was a costly evening for Benitez, who is already working with a threadbare squad. However, the Spaniard said after the game that he did not think either player's injury was serious, so hopefully they will be both be available for Saturday's must-win Premier League match against ​Cardiff. "We have to assess them over the next couple of days," said Benitez, quoted by the ​Newcastle Chronicle. "I don’t think it [Lascelles' injury] is very serious. "Clark went off at half-time with a knock to the knee but we will see if he is fine. I don’t think it will be serious." Newcastle will face ​Watford in the fourth round of the FA Cup following Tuesday's victory.